Elena Papassissa developed Dr Jekyll & Miss Hide at the MA course at the University of Reading, in UK in 2012. Dr Jekyll & Miss Hide is a multi-script typeface in Armenian, Greek and Latin, suitable for magazines and children’s books. The family consists of 3 weights (Regular, Bold and Black) in two styles (Roman & Italic) [the Armenian typeface was developed in Roman style only]. 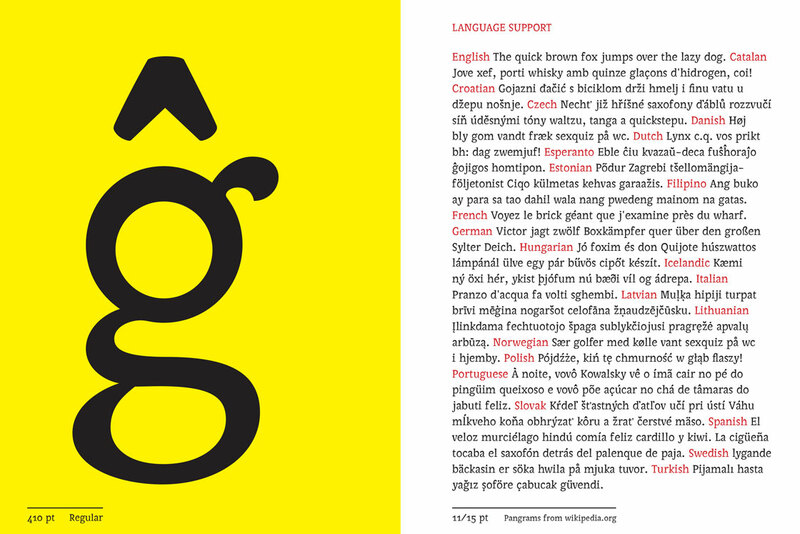 The typeface family was designed to work in text and in headings at display sizes. Its forms are funky and strong in personality when used large, elegant and dynamic when set in text. 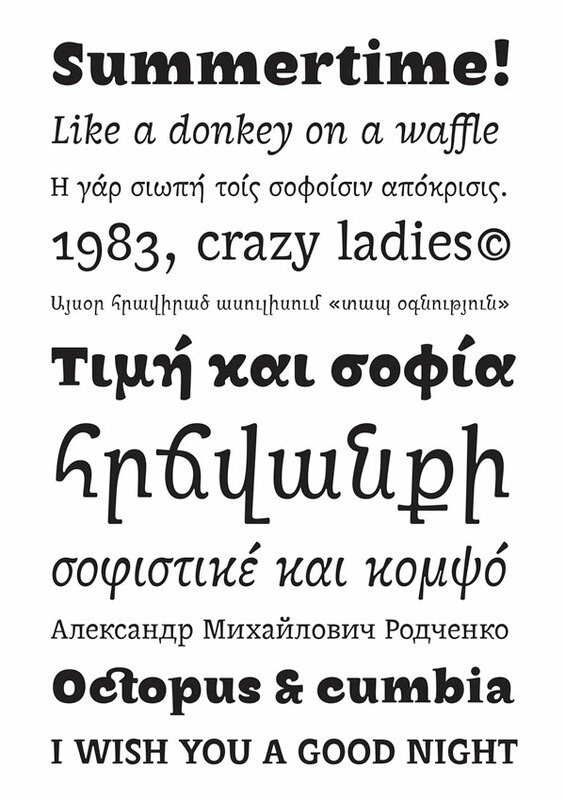 In 2013 Cyrillic Regular was added to the project. ‘MASTERING TYPE 12. The typefaces of the 2012 masters students of the University of Reading (UK) and the Koninklijke Academie van Beeldende Kunsten (NL)’. Berlin, Germany. 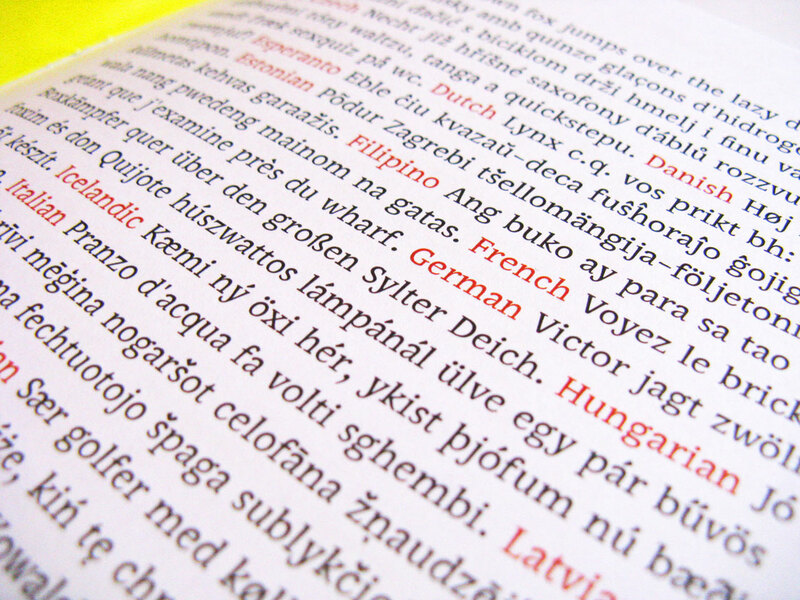 Organised by ‘Mota Italic’ (2012). ‘Sala espositiva della Data, Orto dell’Abbondanza’. Urbino, Italy (2012). ‘Ampersand 2013’, Brighton, UK (2013). Dr Jekyll & Miss Hyde family is in ‘Typodiarium 2018’ on 28 November. Dr Jekyll & Miss Hyde is a multi-script typeface for magazines and children’s books. 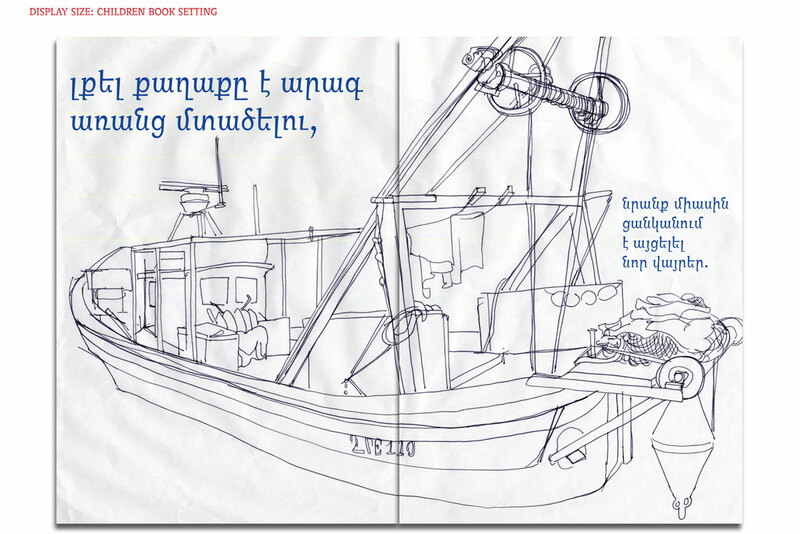 It was designed to work in text and in headings at display sizes. Its forms are funky and strong in personality when used large, elegant and dynamic when set in text.